Been searching for a new wallet? Are you a fan of Batman? If so the Batman (Dark Knight) Bi-Folding Boxed Wallet is a must have to keep your money safe! 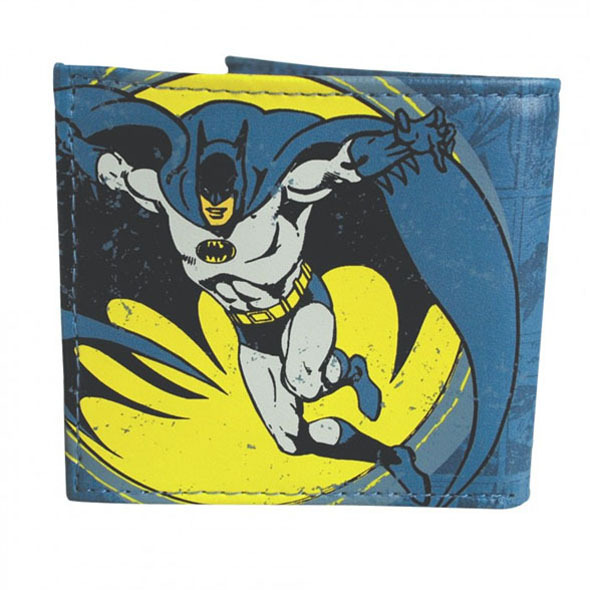 This wallet comes with a cool Batman themed design for all you Batman lovers. The Batman (Dark Knight) Bi-Folding Boxed Wallet is a must have for keeping your money in one place! If you love Batman you will love this wallet. This awesome bi-folding Batman wallet is an amazing gift idea for any Batman fans - and when they clap their eyes on the super cool comic-inspired design you can trust us when we assure you they will absolutely love this gift. The wallet is a faded teal colour, and features amazing comic book print on the leather where you can pick out your favourite characters! 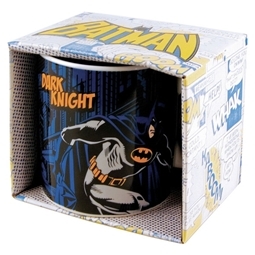 We've also got the original, large Batman logo on it so everyone knows which cool comic book character is your fave. The back features a larger image of the comic book hero himself in all his glory, and Batman looks pretty mighty in this image if we do say so ourselves! 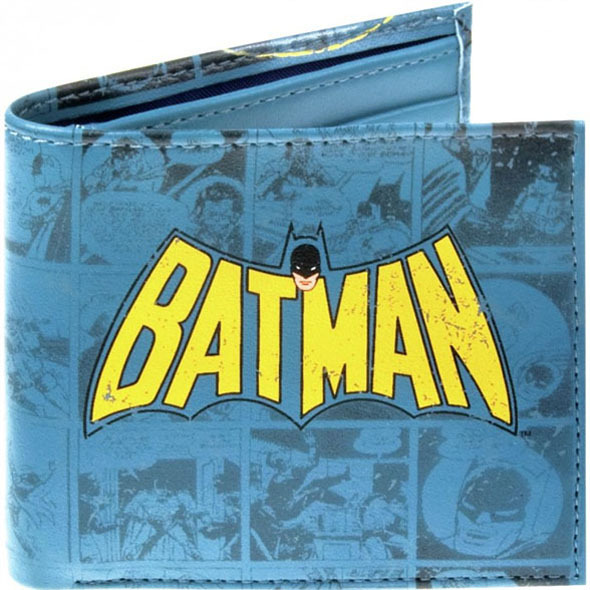 The best part about this wallet is that it's the Dark Knight edition, and though we may be a little biased this is most certainly our favourite Batman episode (not least because the film is epic). Grab this amazing Novelty Batman Wallet and use it as a stocking filler or a small gift idea for any gadget lovers and Batman fans. It even comes in a cool display box, and is officially licensed Batman merchandise.